All participants should assemble Kujwa Sports Park by 8:30AM on Saturday October 13. 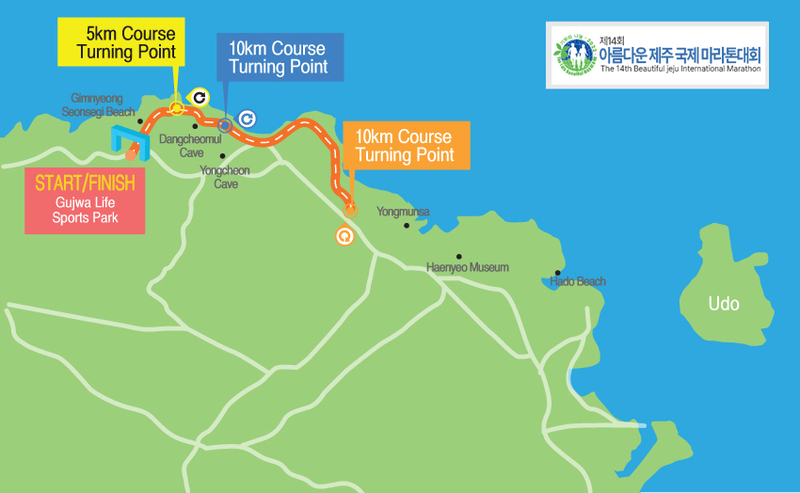 The Half course will start at 9:30AM, and the 10&5km will follow approximately 10minutes afterwards. however, it is highly recommended that all participants to be at he Kujwa no later than 8:30AM to warm-up and baggage check-in. Application for refund is only available until the date specified below. In case of cancellation, the amount after deducting remittance charge will be refunded (Account transfer 5%, Credit Card 10%) back to you. After the refund deadline, any cancellation or refund becomes unavailable without any exception. We will send timing chip and bib number to masters by express delivery system. All the participants should wear the bib number on their chest during the race. The bib number must not be changed or removed during the race. If it is changed or impaired, the runner can be disqualified. The chip should be returned immediately after the race. Changing room and depository will be set near the main stage, but participants are encouraged to keep their valuables with them. ①	Athletes arriving at a station after it has closed automatically lose the right to continue running and must follow the instructions of the officials. ②	During the race, if a participant experiences difficulty in running or if any unexpected problem arises, he/she shall contact the nearest available attendant or official of the Organizing Committee and follow their instructions. ③	An athlete shall immediately stop running if ordered to do so by an attending medical official or by the referee, and follow their instructions. ④	For your safety and health, please refrain from overrunning yourself.